Drinking and smoking are two activities that have long been practiced together. Even now, as we continue to learn more about the effects of alcohol and cannabis on the body, people are overusing both substances. When it comes to using cannabis and drinking alcohol, the advice is the same: don’t do it. But for many people who suffer from alcoholism, an addiction, they cannot break the cycle of smoking up and raising a glass at the same time. Finding balance, or even getting clean, can be impossible for people, despite the non-addictive properties of cannabis. Here’s how you can balance cannabis use and alcohol use if you insist on continuing to consume the two of them on a regular basis. But first, some insight about cannabis and alcohol use. 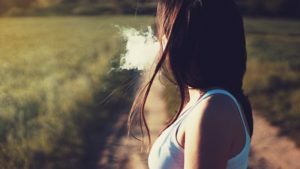 Many studies have been conducted to prove the link between cannabis use and brain development in teenagers and young adults. Alcohol studies have also been done and we know now that consuming alcohol during key development periods in someone’s life, especially if one is exposed to alcohol in the womb, can leave lasting effects. 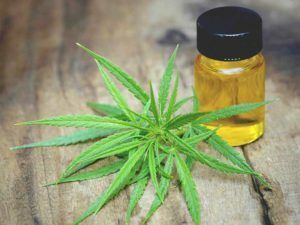 With the legalization of cannabis in many states across the United States, and with the looming legalization in Canada in the summer of 2018, people are starting to pay attention to how alcohol and cannabis are going to be used together. In Nova Scotia, Canada, for example, cannabis is going to sold at liquor establishments, which only perpetuates the use of alcohol and cannabis together. But it’s not a good thing. One at a time, if possible. While it’s common to see someone light up a cigarette while enjoying a beer, it is also common to see someone smoking a joint while drinking these days as well. You’ve probably heard people say things such as, “I only smoke when I drink.” A better approach would be to not combine the two. It’s hard for people to break that kind of habit, but understanding the facts about mixing substances can go a long way to educate people and provide them opportunity to think about their actions before they consume alcohol and cannabis together. Although, it doesn’t help the situation when you sell them side by side at the liquor store. One begets the other and the cycle continues. When a person consumes alcohol, their inhibitions go down and that makes it easier for them to make poor life choices. Although many people use cannabis on a regular basis, we still don’t have solid evidence to prove that long-term, regular use, especially with alcohol abuse, is safe. So, if you are someone who “only smokes when they drink”, then it is going to be difficult to separate the two activities. Setting a date with your friends to hit the clubs means you’ll be drinking, which means you’ll likely be using cannabis as well. It might help to alternate substances over time, if possible. If you know that alcohol is a trigger for wanting to smoke pot, or vice versa, refraining for doing those activities can help a bit, but if you suffer from an addiction to alcohol, that job becomes harder. You can try different things. Perhaps switching to an alcoholic beverage that contains less alcohol, or drinking less alcohol during a night out can help reduce the risks of mixing alcohol and cannabis. Perhaps doing some investigative work to determine the type of cannabis you are actually using and find out if there is a better kind that won’t cause mixed side effects when consumed with alcohol. We all know that cannabis use can make us paranoid, anxious, and depressed – so can alcohol. So if you are trying to hit one bird with two stones, so to speak, you might be in for a not-so-great surprise. Ask for help when you feel it getting out of control. Whether you have a problem with drinking or not, keeping tabs on your cannabis and alcohol consumption is never a bad idea. Ask a friend to keep on eye on how much you are drinking, especially if you cannot control yourself when you get around a few liquor bottles. Give your money to someone else, and limit the amount of cannabis you take out on the town. Consider using cannabis in a different way. If you normally smoke cannabis using a bong with a dab rig, consider smoking a joint or including cannabis in a baked good. 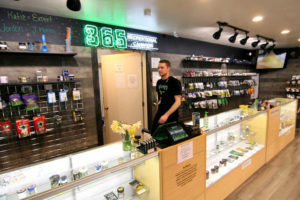 Despite rules and regulations surrounding the use of alcohol and cannabis in public, people still manage to get themselves into trouble with this stuff, so put yourself in the best position by limiting the cash you carry, the amount of cannabis you carry or use, and have a friend help you out. Regardless of whether or not you use cannabis and alcohol on a regular basis together, you can stand to pay attention to how you act and feel while using the two at the same time. If it’s your first time, limit the amount of each that you are using until you know how your body is going to react. Cannabis can increase the effects of alcohol and vice versa. Try some of the tips we’ve given you here to balance your cannabis and alcohol use and you should be able to enjoy yourself without worrying about the consequences or side effects. 365 in Walla Walla Local News! Warning: This product has intoxicating effects and may be habit forming. Marijuana can impair concentration, coordination, and judgment. Do not operate a vehicle or machinery under the influence of this drug. There may be health risks associated with the consumption of this product. For use only by adults twenty-one and older. Keep out of the reach of children. Marijuana products may be purchased or possessed only by persons twenty-one years of age or older.